In the end, this was a tail of the Celtics’ grit and their improvement upon their ability to successfully close out a game, demanding a bit more respect as a rising legitimate playoff contender in the tightly packed Eastern Conference. Isaiah Thomas, the man with 27 points of his own on the day, proved to be a huge driving force for the Celtics in this matchup. He served as a catalyst at the point of attack, essentially throughout the entire game. Derrick Rose and Kristaps Porzingis of the New York Knicks were doing their best to electrify the home crowd in the closing seconds of the half. This 1st half really ended in a similar style to the 2nd as the crowd was really active throughout the game, but Marcus Smart sucked the energy out of the crowd by hitting two crowd-silencing three-pointers to close out both halves. Smart was not really that efficient for a good part of the game, but he brought the element of clutch into the final moments of each half. In the second half, the game had more of an energetic atmosphere, a very enthusiastic and hyped-up energy feel to it, similar to the beginning of the game. The Celtics were up 110-101 with just two minutes left to play in the game, but Porzingis and Carmelo Anthony made clutch baskets to tie the score at 112 with a minute left. However, coming out of a timeout call by Brad Stevens, Al Horford dished the ball out to Marcus Smart, who once again, was able to write the story by burying a huge three-pointer to put the road team up with 47 seconds left on the game clock. 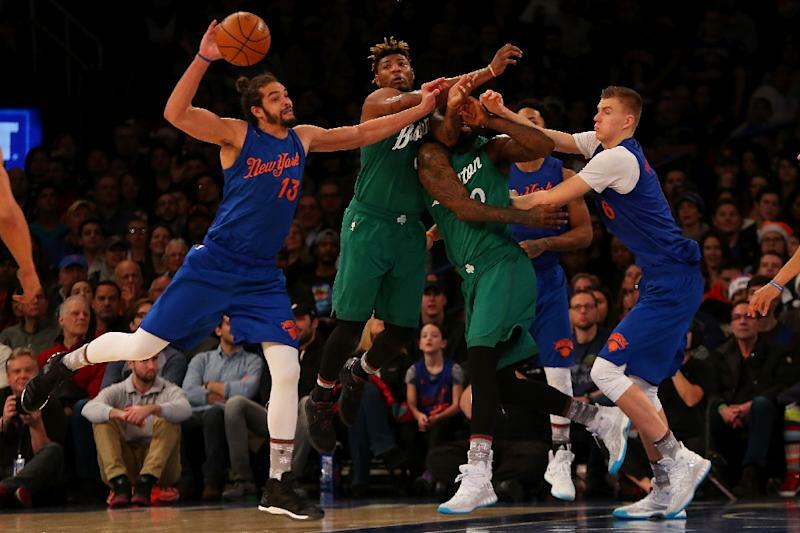 The next possession, Carmelo Anthony tried his luck from distance, but fell short as the Knicks had to foul Jae Crowder who sank two free throws to secure the lead en route to a 119-114 victory for the Boston Celtics. This Celtics team as a whole has really begun to develop a “clutch gene” to a high extent. The Knicks put up a hard fight, rallying back from down nine to tying the score, but it was much of the same story for both teams in this matchup. The Knicks showed amazing effort throughout but weren’t able to come up big in the final seconds. On the contrary, in the closing moments, it was the Celtics who were able to capitalize on the big moment and cashed in on a late three to silence the home crowd on Christmas Day. This Celtics squad continues to develop throughout the season, as they learn more and more about closing out games better and are maturing as a team under one of the brightest basketball minds in Brad Stevens. Looking back at the offseason, the addition of center Al Horford in the offseason has proved to be an insanely valuable one. For the rest of the 29 teams in the NBA, be warned: the Celtics are coming.